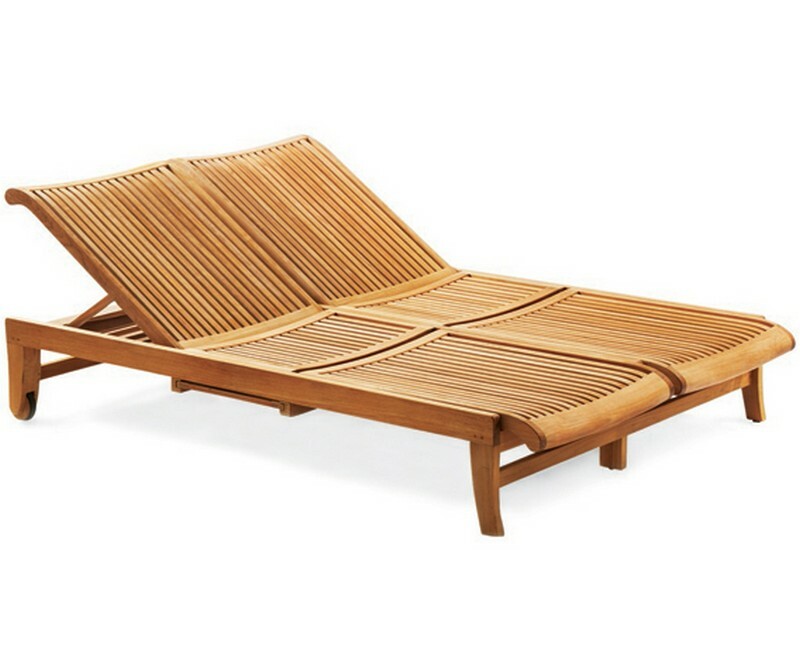 Features wide slats that showcase wood's beautiful grain. Comes with wheels for easy moving. 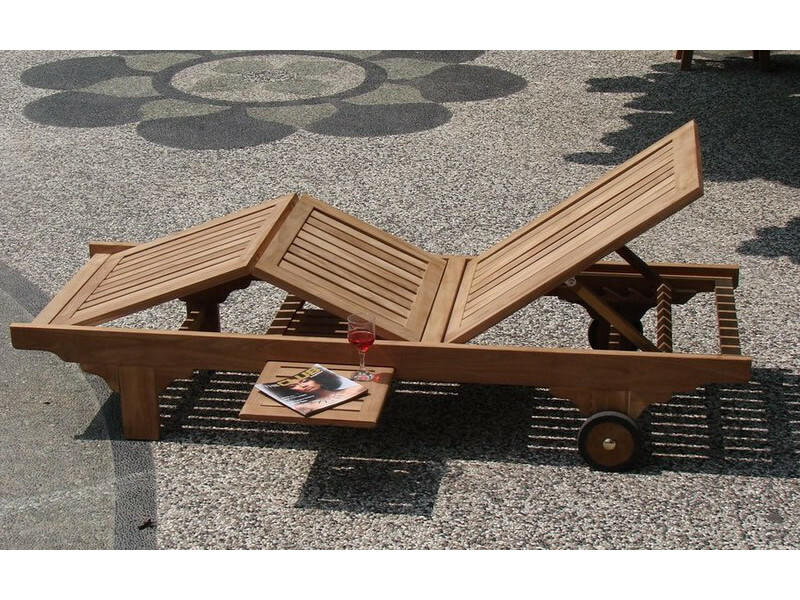 Comes with wheels at the bottom for easy moving from lawn to poolside. Pull-out tray provided can hold snacks and a stack of magazines. Also Folds at the knee Area. 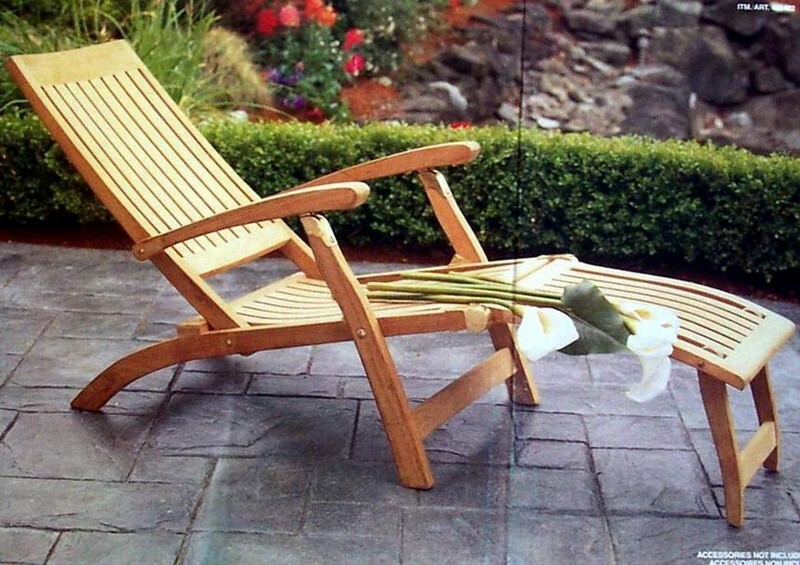 Comes with adjustable head and foot rests for the ultimate in comfort. 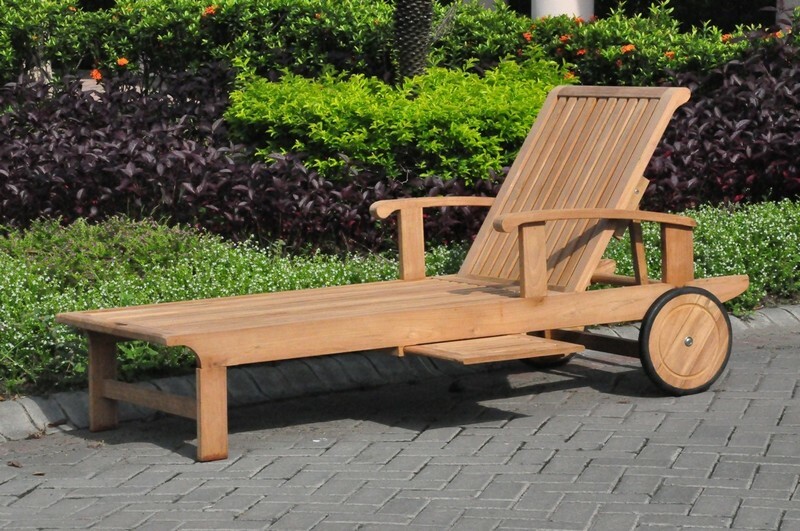 Multi-position Chaise Lounger and also comes with wheels for easy moving. 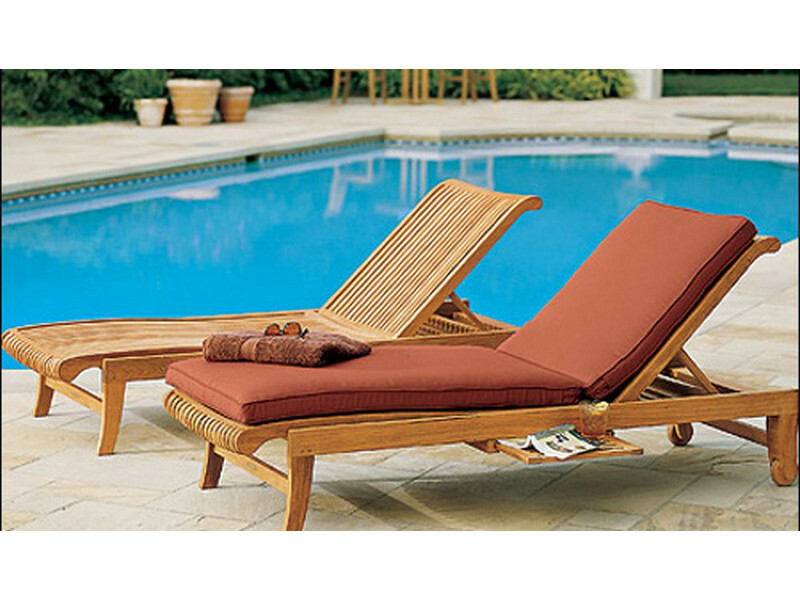 Chaise Lounger has a Slide Out Tray, that slides out to the left or the right. 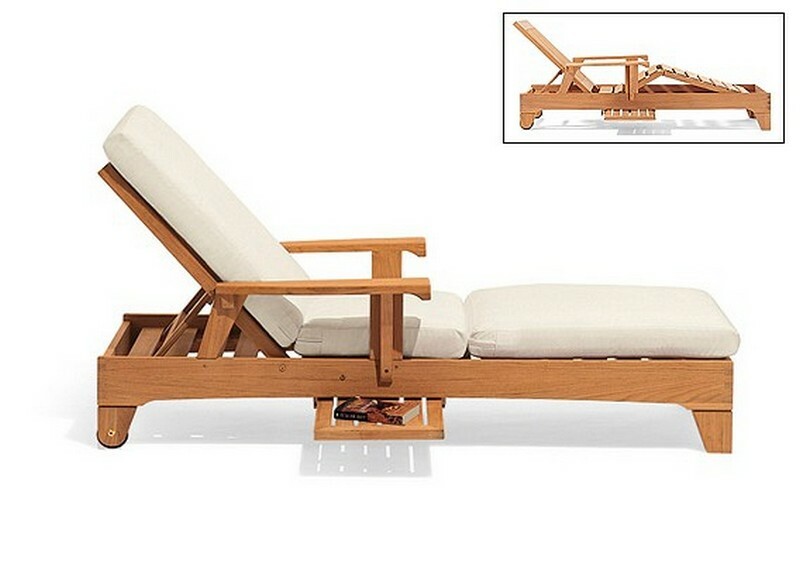 Multi-position Chaise with Little side out tray that slides out both sides left or the right. Approx. 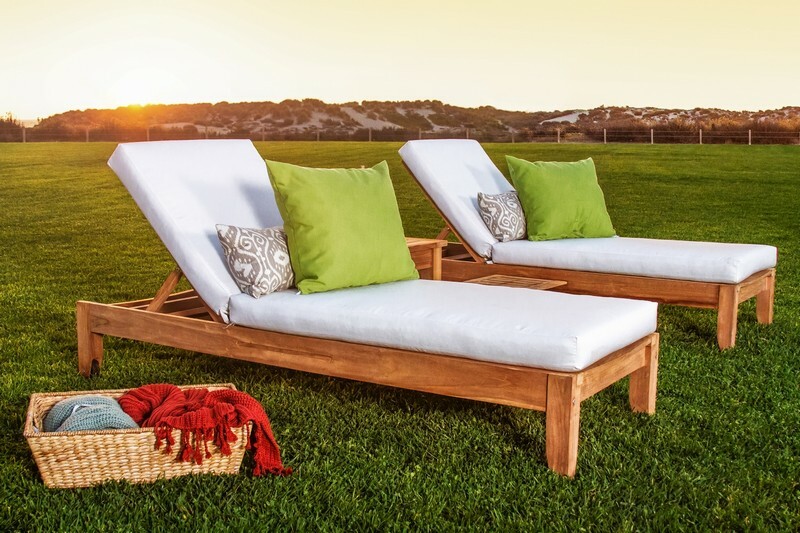 Dimension:77"L x 30"W x 32"H, Seat height: 12" Arm height: 21"
This Steamer Lounger reclines to multiple positions, adjustable head & footrest for more relaxation. 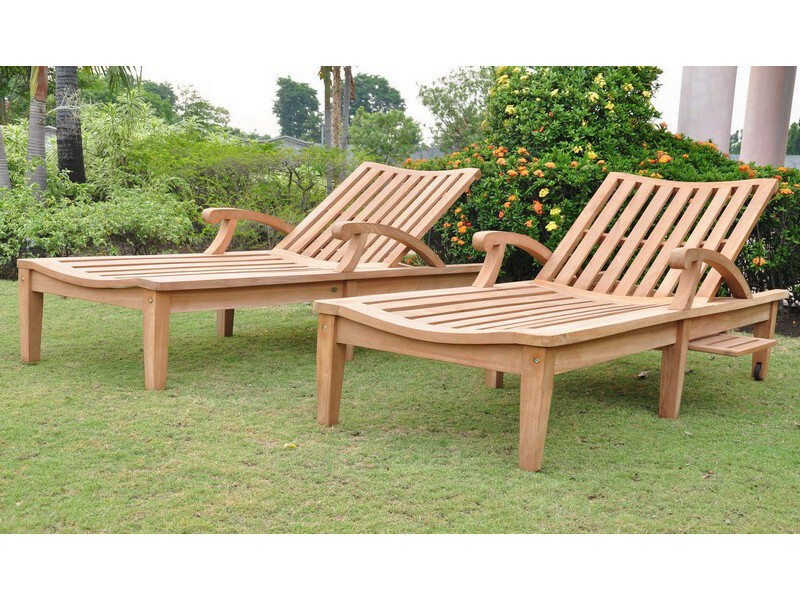 Stained with a natural teak oil for added protection from the elements and a rich apperance.